This entry was posted on 17th October 2018 by Judith. Leafmould is made from decaying leaves. It is an excellent soil conditioner adding organic matter and micro-organisms to the garden. Leaf mould is quite low in nutrients, which makes it suitable for seed germination as the seedlings develop a strong root system, which will help them remain healthy when threatened with pests and diseases. If you have enough, leaf mould makes an excellent soil improver. The coarse organic particles help create air spaces, vital to let roots penetrate the soil. Leaf mould also makes a good mulch that aids moisture-retention and helps prevent the growth of weeds. Earthworms love leaves, as do fungi, and their action in the soil will improve its fertility. All leaves and conifer needles will eventually break down into leafmould. Thick leaves like sycamore, walnut, horse chestnut and sweet chestnut should, ideally, be shredded before adding to the leafmould pile, as they are much slower to break down. Evergreens such as holly and laurel, are also better shredded and added to the compost heap, where they will break down faster than if added to the leafmould pile. Conifer needles will eventually break down, but may take two to three years to decay. Conifer hedge clippings are better added to the compost heap than used for making leafmould. Pine needles are worth gathering and placing in a separate leafmould pile as they produce acidic leafmould, which is ideal for mulching ericaceous plants, such as rhododendrons, azaleas, camellias and blueberries. There is no magic involved - it is the action of fungi that break down the leaves. These fungi are quite slow workers, so that is why a two year wait is recommended. Leafmould does not need worms, activators or anything else. After two to three years the leafmould will have a rich, crumbly consistency. It’s great for enhancing soil, feeding the soil microbes that encourage healthy root growth, improving drainage in heavier soils and moisture retention in lighter soils. 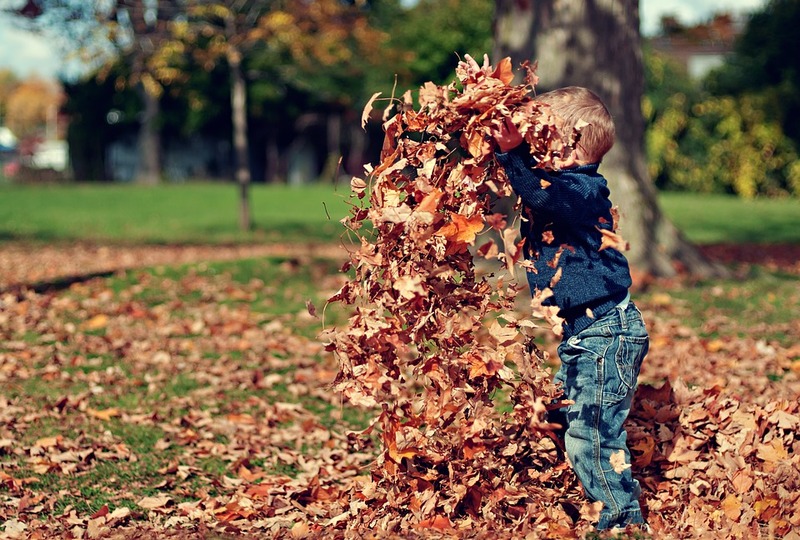 Collect leaves from your own garden or public places - leaves are easier to collect when the weather is dry and still. You can also collect leaves from the lawn using a lawn mower, as this not only shreds the leaves and hastens rotting but also adds grass clippings, so increasing the nutrient value of the leafmould. If collecting from the roadside it is better (and safer) to stick to the quieter roads where there will be less pollution and unwanted debris. Place the leaves into a bin liner, moisten if they are dry. Pierce holes in the bag to allow for air circulation then tie the top loosely and stack the bags out of sight for up to two years. Alternatively make a frame from chicken wire or wooden pallets. Ideally this should be in a sheltered part of the garden to ensure that the leaves are not blown away. Make your leaf heap as large as possible to hasten decay, and moisten it periodically if it becomes dry. Again, leave for two years for the fungi to do their work. Find a shaded, cool spot in the garden, where the leaf mould won’t be dried out by the sun. For instance, if you are using the plastic bags, then you can place these under a hedge, oil tank or behind the shed. Deciduous trees drop their leaves in autumn, so this is a good time to gather up leaves for starting a leafmould pile. Pine needles may be shed throughout the year, but especially in spring, so need to be gathered gradually for a pine needle leafmould pile. You can mix some grass clippings to your heap of leaves. This will speed up the process, but remember that the resulting mould will be richer and so won’t be very suitable for seed germination. Good quality, well-rotted leafmould (more than two years old) can be used as seed-sowing compost, or mixed equally with sharp sand, garden compost and good quality soil for use as potting compost. Half rotted or ‘young’ leafmould that is less than two years old can be used as mulch, soil improver, autumn top-dressing for lawns, or winter covering for bare soil. If your leafmould pile is slow to break down into leafmould, try turning it occasionally to aerate the leaves and speed up the breakdown process. Make sure that the leaves do not dry out, moistening the pile if necessary in dry weather.